Punctuation has long been a skill within education that students perform poorly in. Many strategies have been tried and many fail. One strategy that I use to engage students in learning punctuation is called “Kung Fu Punctuation”. This strategy is based on the work of Ros Wilson and her beliefs. I was lucky enough to engage with some colleagues about her work in 2010 and since have used this as part of my literacy program and promoted it with my colleagues. Ros believes that “if a child can say it, they can write it” and utilising this strategy it is obvious that it works. This strategy is particularly engaging for boys who often need to be physically active to help them learn. I have utilised this strategy for many years now and I am yet to find a class (taught this in Grade 2-8) who are not engaged or who don’t enjoy this learning! 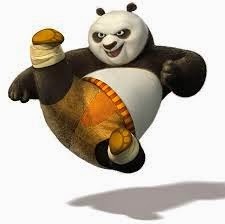 I teach elements of Punctuation – as we learn new punctuation we learn the corresponding ‘Kung Fu’ moves which are accompanied by sounds (you can find these online or just make up your own (true student voice – let them own the learning). I show them the action and then we put it into practice. I say the punctuation (e.g. Full Stop) and the students do the action with sounds. I then say a sentence and the students repeat it using the Kung Fu Punctuation necessary. You can make this into a game as well with groups of 3 (one referee, 2 students competing). I then often follow up with an activity where students work independently to use the correct punctuation marks and corresponding Kung Fu move (this is optional). I highly recommend utilising this in your classroom to help engage students in Punctuation learning. I am (as always) more than happy to help you using what I blog about in your classroom so connect with me via twitter and ask away.